About the Artist: NEILL (Cynthia NEILL McClung) grew up in the suburbs of Dallas, Texas. At the age of 5, Neill discovered her skill in drawing and that coupled with a love for the outdoors and animals, created a passion to draw and paint wildlife. Neill attended Texas Tech State University as an Art Education major and completed her BS in Art Education at East Texas State University. She married her high school sweetheart, Stephen, an avid photographer, who also shared her love for the outdoors and wildlife. Shortly after marriage, she and Stephen moved to Colorado and enjoyed the opportunity to explore the mountains and observe and photograph the abundant wildlife there. While in Colorado, Neill created a Pen & Ink series of North American big game and numerous wildlife paintings. Several years later, the couple returned to Texas and Neill became a high school art teacher. While having and raising two children, she and her husband started a Toyota Land Cruiser restoration and parts business that continues on today called Cool Cruisers of Texas. In 2006, Neill and Stephen planned a photography trip to South Africa and that trip was life changing! It reignited Neill's passion to paint not only wildlife, but the amazing animals of Africa. 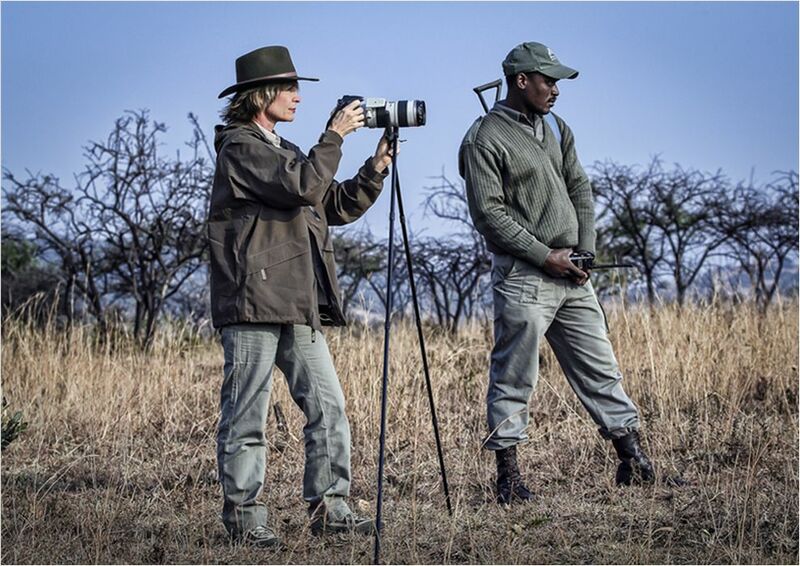 She and Stephen have returned to Africa for the 4th time (Tanzania-the Serengeti and South Africa) and plan subsequent photography and observation trips in the future. Neill now works exclusively in oil on canvas and aims to portray the essence of the animals she paints while enhancing color brilliance! Neill created the I WAS THERE ® Trademark series from her actual experiences with the animals in her paintings.